Here are the Best Recipes for Applesauce with step-by-step instructions for How to Make Applesauce at home using the best recipes and methods for you! ﻿Methods including using the stovetop (chunky), microwave, crockpot, Victorio Stainer or a Foley Food Mill Applesauce Maker. 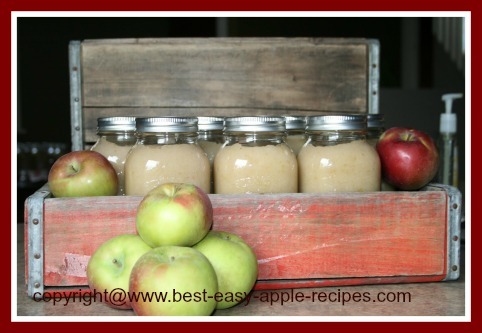 ﻿Whether you are planning on making applesauce for fresh eating, as a recipe ingredient or for freezing or canning applesauce here is all the information about making applesauce at home that you will need! 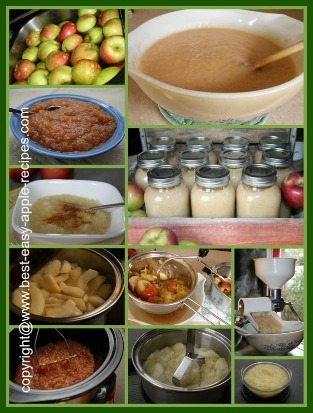 There are basically five different methods to use in the kitchen for how (the method used) to make homemade applesauce. *In addition to the Foley Food Mill and Victorio Strainer there are other Mechanical Food Strainers that can be attached to Kitchen Appliances, for example KitchenAid Stand Mixers, and be used to make applesauce. Scroll down for images and product links. If you plan to use one of these attachments to make applesauce, simply follow the recipes for applesauce making using the Food Mill or Victorio Strainer, except process the apples using the KitchenAid Appliance and Attachment instead. Which method you use will depend largely on the purpose for which you are going to use the sauce, and the amount of applesauce you wish to make. 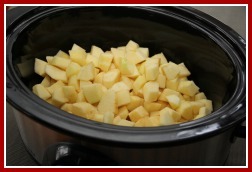 If you are planning to make a batch of fresh applesauce as a side dish to a meal or as an ingredient for a recipe, you will most likely want to make it using the Stovetop (Chunky), the Microwave, or the Crockpot/Slow Cooker. See Also: What Types of Apples make the Best Applesauce? 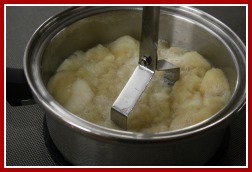 If you are planning to make a large quantity of applesauce with the purpose of freezing it or canning it for future use, you will most likely want to make it using a Foley Food Mill or a Victorio Strainer. If you do not already own one of these mechanical applesauce makers, you may want to invest in one – I think you will be very happy with the product. 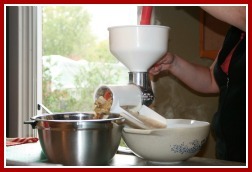 Here are links to *Amazon.com for the Victorio Strainer and the Foley Food Mill. 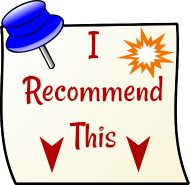 CLICK on the images for detailed product information and customer reviews. If you prefer to make applesauce using a Mechanical Strainer Attachment on your KitchenAid Stand Mixer, here are links to *Amazon.com for examples of these attachments. Our family loves ♥ applesauce. When our first child was ready to eat applesauce I purchased a Foley Food Mill and a Victorio Strainer and made my own applesauce for baby food. As more children joined our family, and each loving applesauce, I eventually made 100 litre jars of yummy applesauce each Fall. 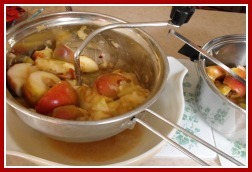 The Victorio strainer made this a quick and easy method to make a large amount of sauce from apples - all in a relatively short time. 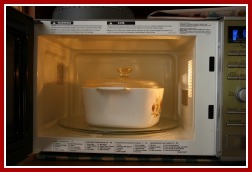 In addition to the canned applesauce I would make fresh applesauce from time to time using the Foley Food Mill, the Microwave or the Stovetop. The advantage of the Victorio Strainer and the Foley Food Mill is that both of these mechanical strainers separate the apple peel and core from the fruit pulp/sauce, so it is not necessary to peel the apples before processing them. Obviously this saves an enormous amount of time and effort if you are planning to make a large volume of applesauce! The Victorio Strainer separates the apple peel from the fruit pulp and releases it from the Strainer. The Foley Food Mill also separates the apple peel from the fruit pulp, but it needs to be manually removed from the Strainer from time to time, unlike the Victorio Strainer. For this reason the Victorio is, in my experience, the very best kitchen tool for making homemade applesauce in large volumes to preserve by canning or freezing it. In addition to using them for making applesauce, both of these Mechanical Strainers can also be used for processing other vegetables and fruits. See product description and reviews for more information by clicking on the images below. I believe they are well worth the cost of purchasing these strainers. Whichever method you choose, I am sure you will be happy with the finished product. 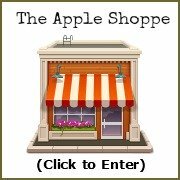 The lovely, sweet aroma of cooking apples and freshly made applesauce will fill your kitchen and your senses! Homemade recipes for applesauce tastes much better than any store-purchased applesauce – in fact I don’t believe that I have ever tasted store-purchased applesauce that tastes nearly as good as homemade. Not only does it taste better, but it’s healthier too, because YOU control what goes into these recipes for applesauce! YOU choose the type of apple, the amount of sugar, or the addition of a Sweetner as a sugar substitute, and no other additives or preservatives are necessary. Store freshly made applesauce (covered) in the refrigerator for up to one week.